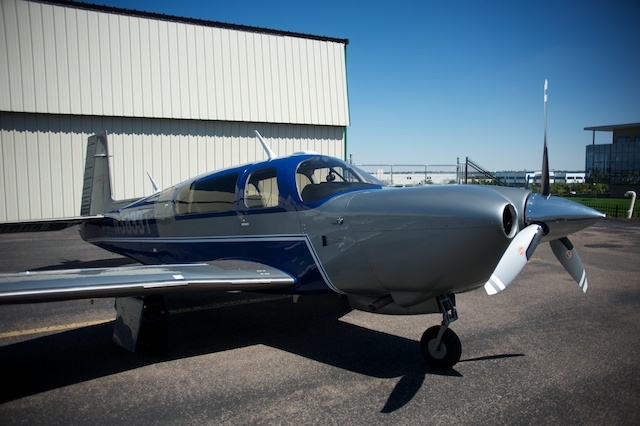 Here is my mistress, Mooney N3833T, a 2008 Mooney Acclaim Type S featuring the BMW Design Works special edition paint scheme. By far the fastest and most beautiful airplane I have ever owned. 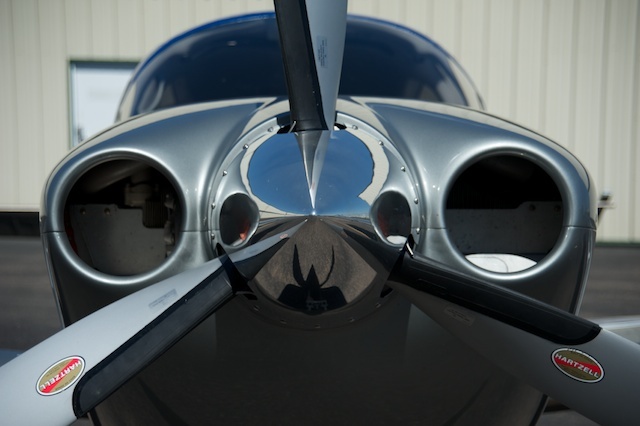 It sports 310 turbocharged horsepower and cruises comfortably at 220 knots (253 mph). I absolutely love flying this beast. 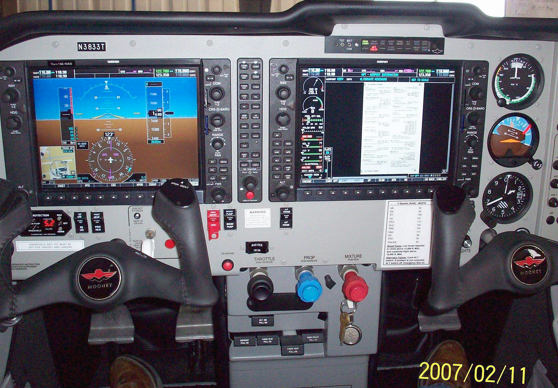 I purchased my first airplane in July, 1999, in Napa, California. 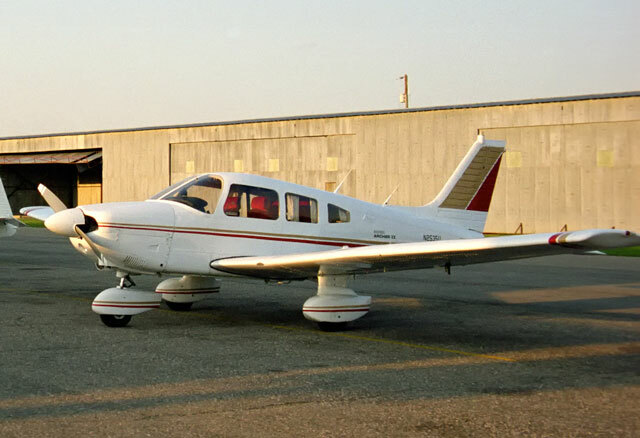 It was a 1980 Piper Archer II, N2535U, with only 900 hours on it. 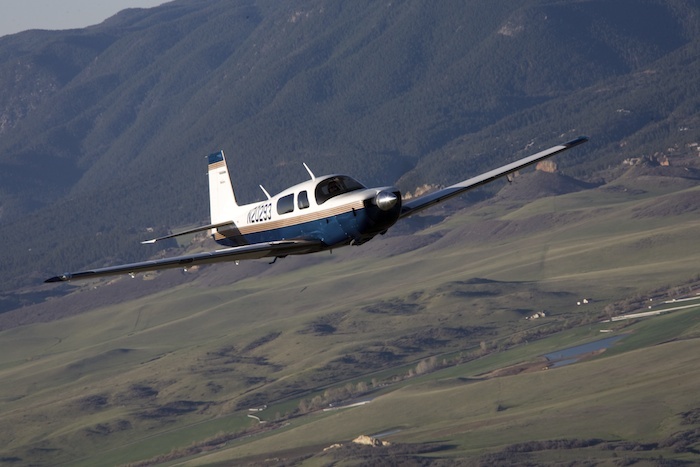 Since Archers are often used as trainers and entry-level aircraft, it was extremely unusual to find one nearly 20 years old with such low time. 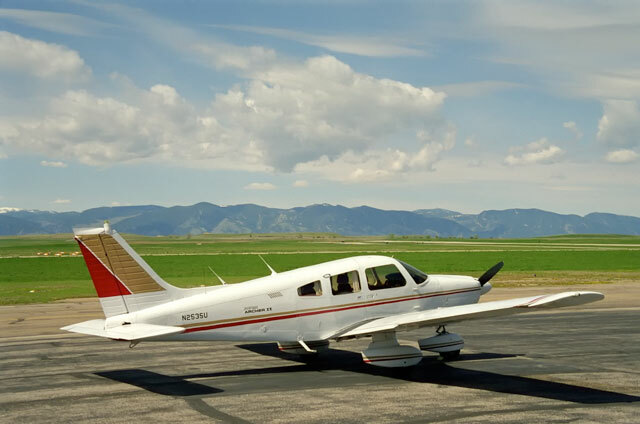 The plane had only one previous owner and was always hangared, so it passed the pre-purchase inspection with flying colors. I didn’t take nearly as many pictures of this plane as I should have. Pity. The seats were upholstered in a disco burnt-orange crushed velour, and the panel was truly retro, having never been upgraded by the original owner. 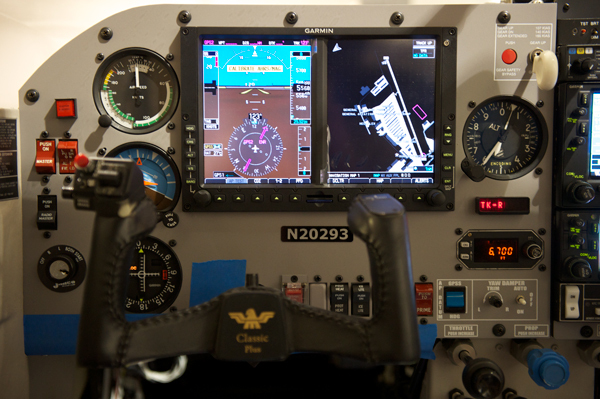 Nevertheless, the aircraft was in tiptop shape and I really enjoyed it during the short time I owned it. 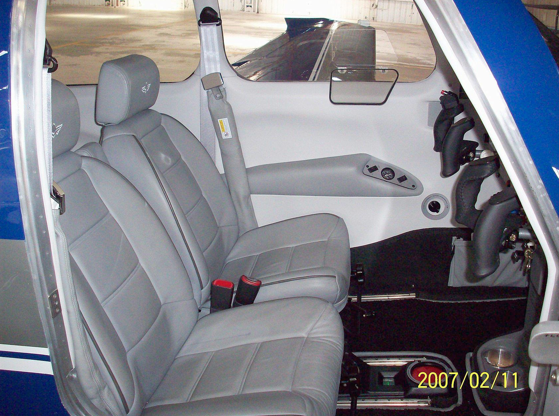 In May, 2000 I traded the Archer for a 1998 Mooney Encore. 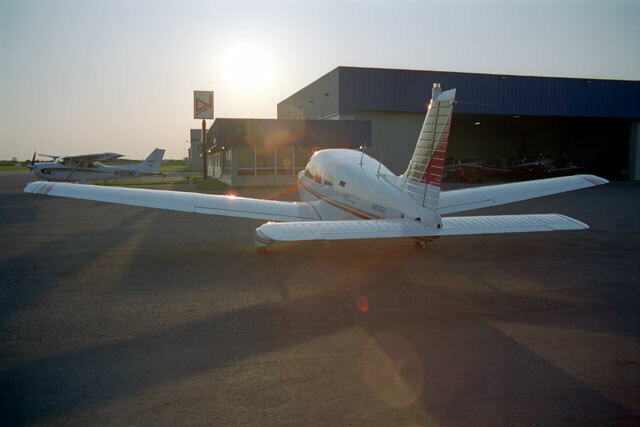 The pictures below are from my final flights in the Archer: the legs from Sheridan, WY to Willmar, MN, and then from Willmar to Flying Cloud airport near Minneapolis, where the Mooney was waiting. N2535U in Sheridan, WY. May, 2000. N2535U at Flying Cloud Airport. May 2000. N2535U Sails off into the Sunset. May, 2000. 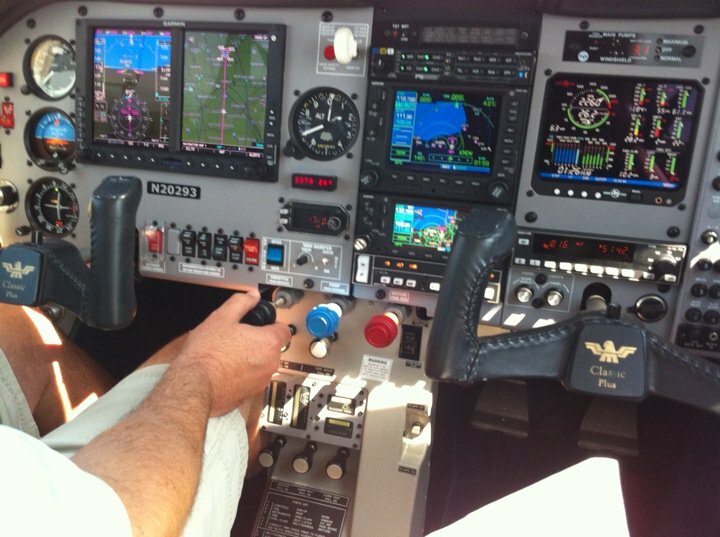 Here’s the panel in action on visual approach to Chicago Midway airport, summer 2010. Today is a big day… everything’s installed and we’re firing it up for the first time! We successfully beamed music from my iPhone to the intercom via Bluetooth… very cool! Now I can toss my 1/8″ stereo cord that was always getting caught in the seat rails. 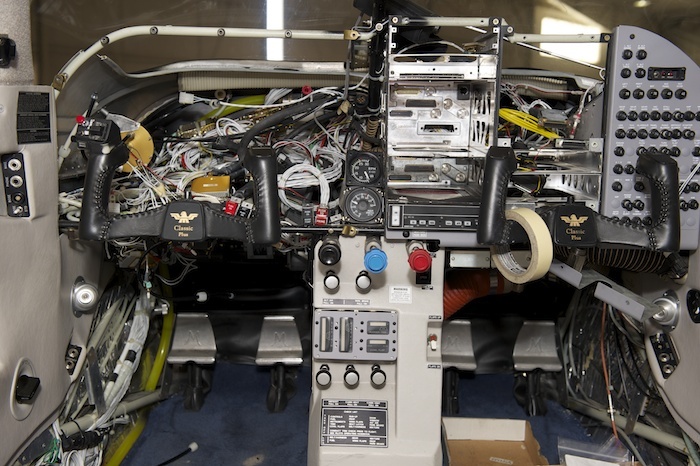 All that’s left now are final inspections, putting all the loose pieces back together, re-weighing and balancing the aircraft, and final testing and calibration of G500. Hoping to have it all done by July 16th! 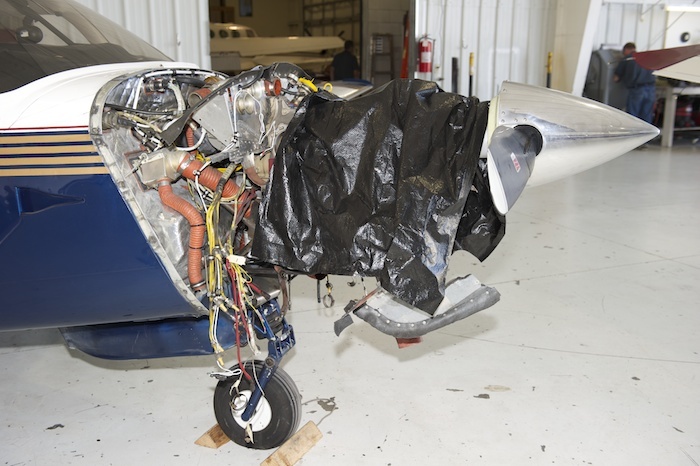 We’re one month into the project now and the plane is completely torn up. But we’ve hit bottom and now everything is being put back together again. Estimated completion is somewhere around mid-July. 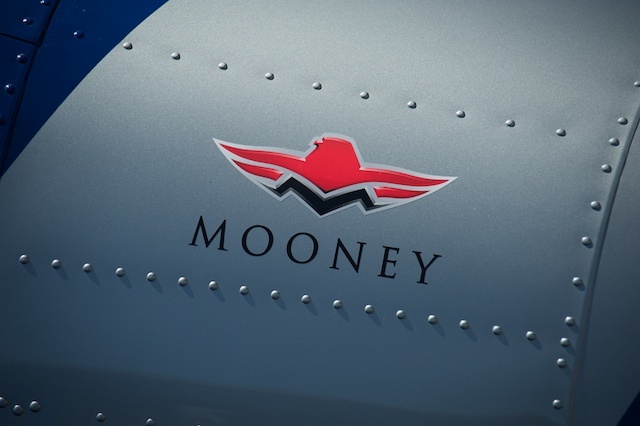 The Mooney Encore instrument panel comes in 4 sections, in order from left to right as you look at the panel: Primary Instruments, Radios, Accessories and Circuit Breakers. 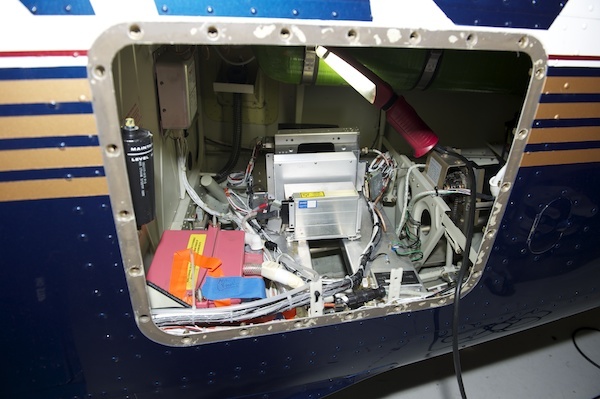 For this upgrade, the Primary Instruments and Accessories sections are being completely replaced. 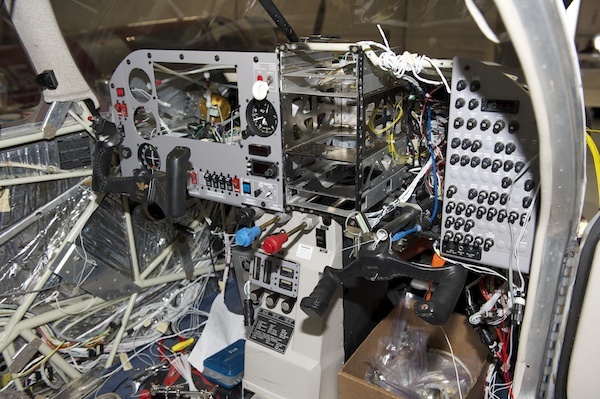 The Circuit Breakers section is being modified (I’ll have 19 fewer breakers than before) and the Radios section remains the same, except for swapping out the audio panel in place. Much cleaner! 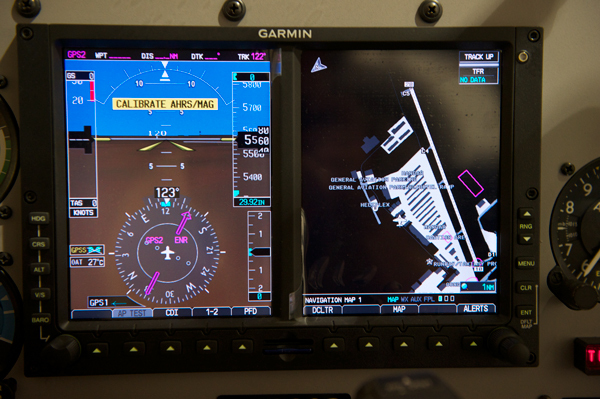 The Garmin G500 goes into the large rectangular cutout. 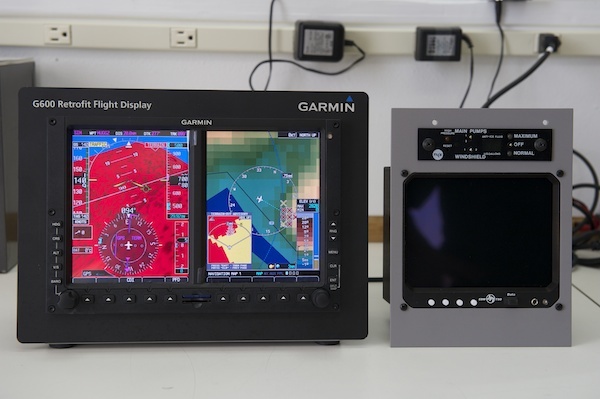 To the left, from top to bottom, will be the backup indicators for airspeed, attitude, and localizer/glideslope. 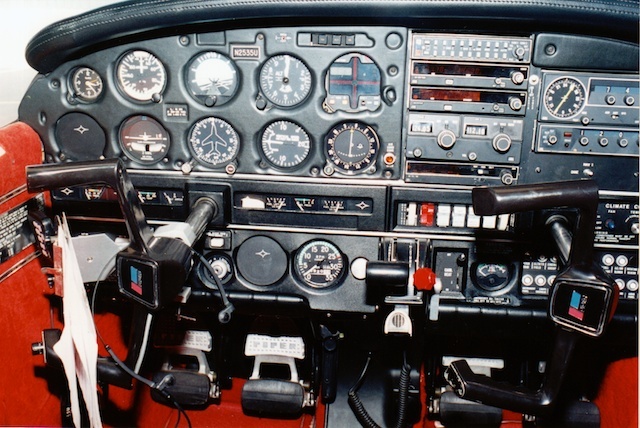 The backup altimeter is to the right. 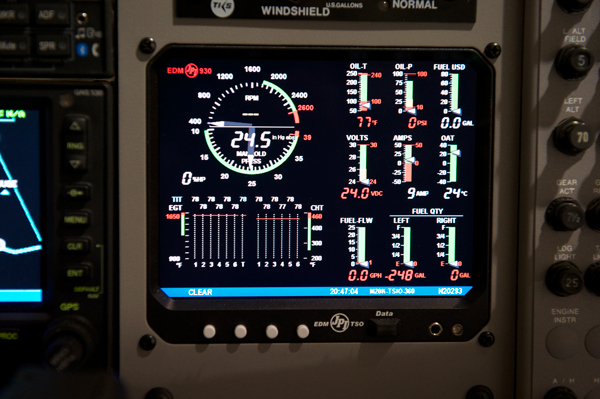 These backup instruments are required by the FAA in case the G500 takes the day off. Notice the slugs that have been installed into the Circuit Breakers section… it used to be that every location had a breaker. Less is more in terms of aircraft reliability, so this is an excellent development. 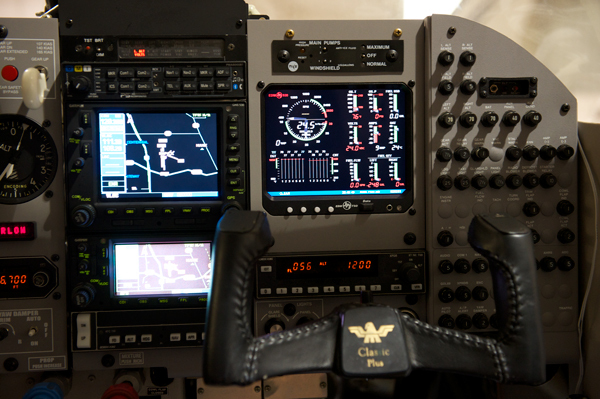 This shot shows the G500 unit installed, along with the attitude indicator to the left. 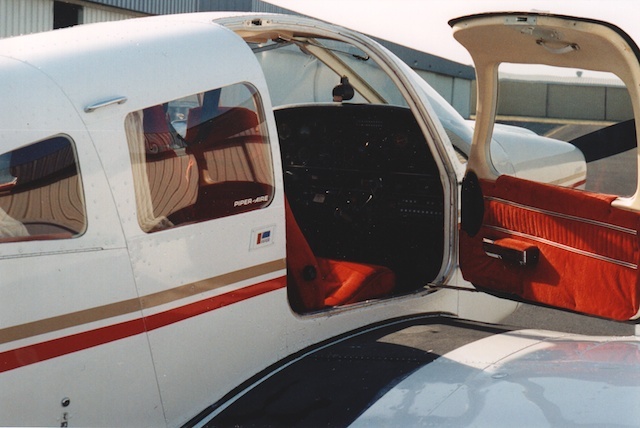 The airspeed indicator had to be sent out to Mooney to have a new face put on – turns out the airspeed arcs on the factory unit were wrong and for 10 years I’ve been flying with the low end of my white arc (stall speed) indicating 5 knots below where it should be. Good thing I don’t ever fly slow. 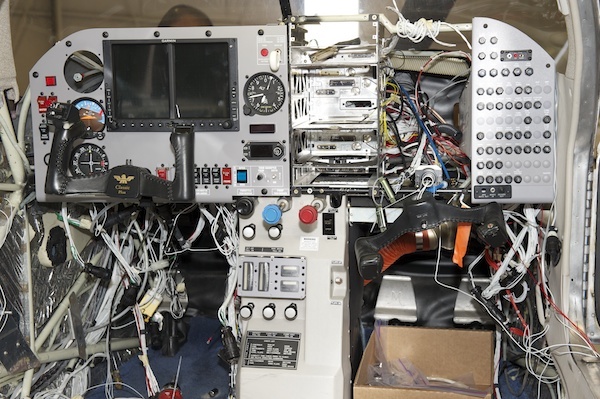 On top is the controller for the TKS de-icing system. 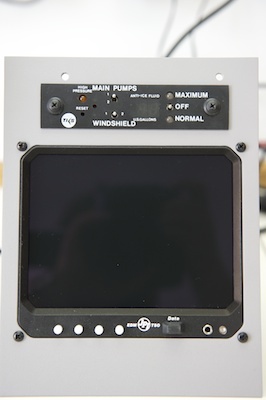 The EDM 930 is the large square LCD screen. 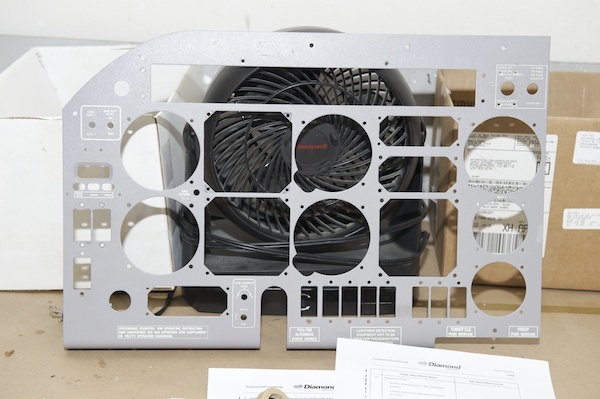 It will depict all engine instruments graphically, and will also serve as a replacement fuel flow monitor for the Shadin unit I had removed. 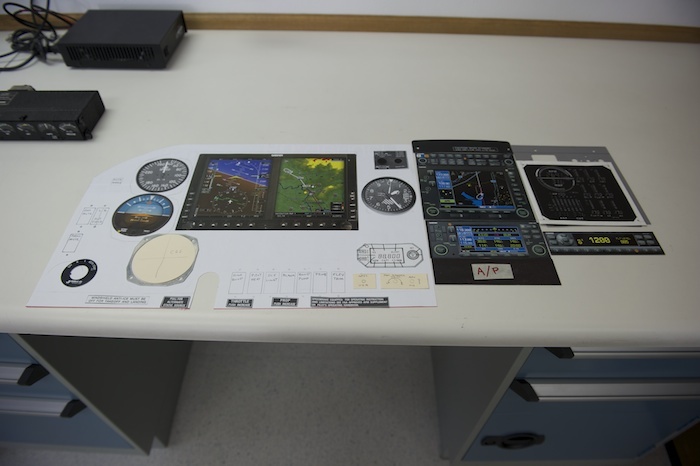 This photo shows the G500 demo unit and my Accessories panel section on the test bench. These two units are replacing about 90% of the crap that used to clutter my panel. Awesome! And here’s a shot that illustrates just how torn up my aircraft is right now. A bit unnerving! I expect the pace to pick up a bit from here on in so hopefully there will be many more updates to come. I’ve owned my 1998 Encore for 10 years now and have decided it’s time to trade its late ’90’s instrument panel for something more 21st century. 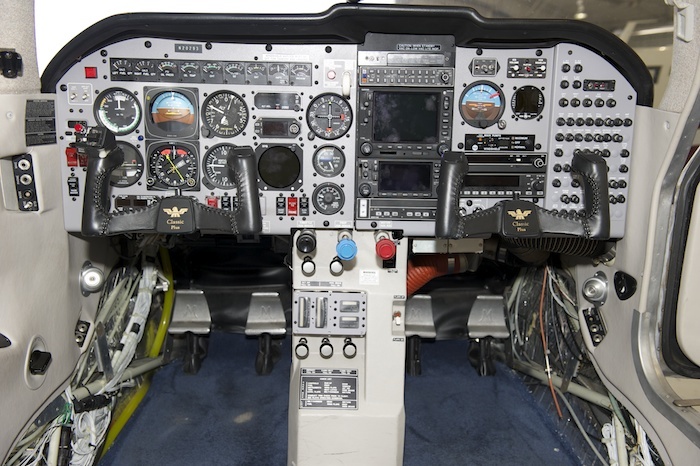 I’m going to trade my 6 primary instruments for a Garmin G500 with Synthetic Vision technology, my engine instruments for a JPI EDM 930, and my crummy old King audio panel for a far superior PS Engineering PMA8000B. 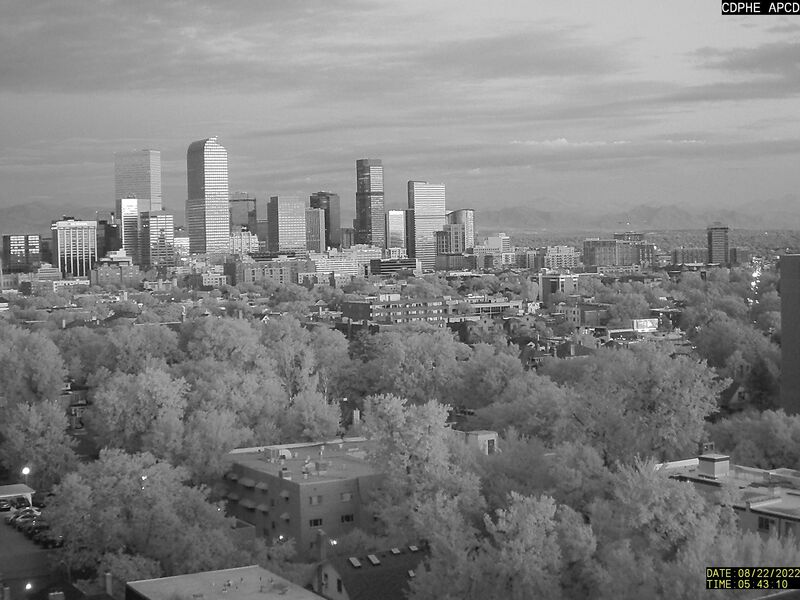 For this project I chose Arapahoe Aero at Centennial Airport to do the work. 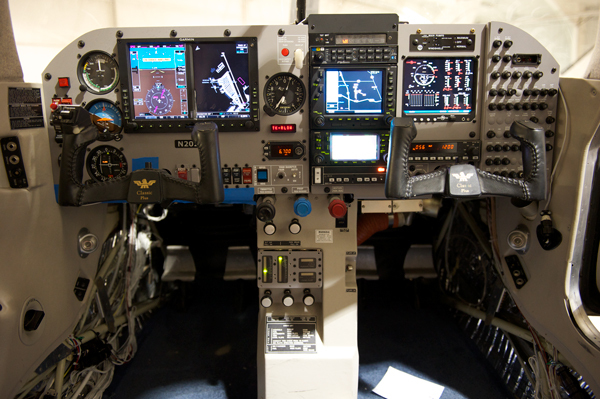 Scott Utz and his team have been doing a fabulous job on my annual inspections for the past four years and it just so happens they’re an excellent avionics shop as well. And I really like the fact they’re located about 50 yards from my hangar. 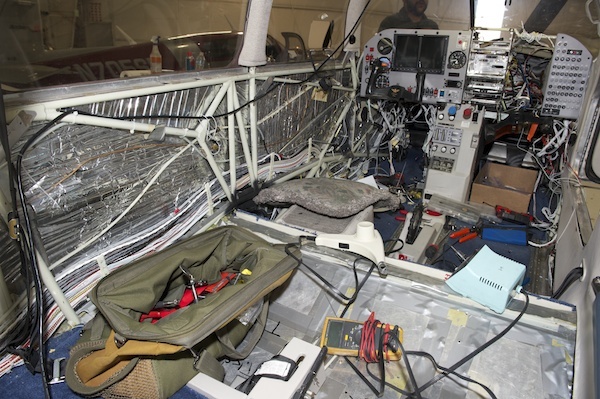 Here’s the tangle of wires revealed by removing the panel. Wow! All this work started in April and probably won’t be completed until July. I’ll post updated photos as they become available.